Pre-finished, virtually maintenance-free aluminum soffits, fascia, eavestroughing and downspouts. Sandstone or similar front windowsills, with keystone on top of lintel where brick and/or stone is below. All vinyl windows. Casement front windows with colonial bars and transoms, as per design. Double doors or single with sidelights and transom, as per plans. Roll-up garage doors with windows, as per plans. 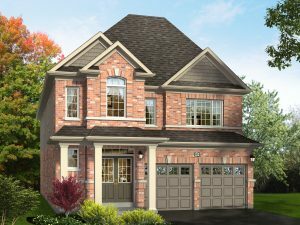 Walkout condition: 5’ sliding patio door and additional windows in basement, with main floor wood deck. 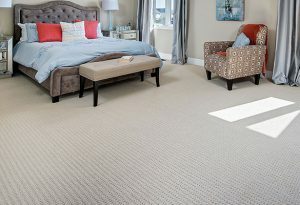 Quality wall-to-wall broadloom with underpad in bedrooms, second floor hallways and main floor stairs. 2 ¾” casing on windows and doors with matching 5 ½” baseboard in finished areas. Laundry to be fitted with heavy-duty receptacle for clothes dryer. Single laundry tub and dryer vent to exterior, as per plans. All walls to be painted with primer and one coat of finish paint of an off-white colour throughout. Trim and doors to be accented in white. H.R.V. (heat recovery ventilator) to control humidity and improve heating efficiency in the home. 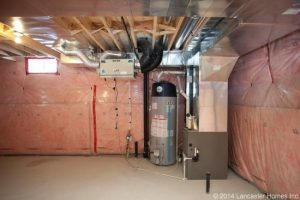 High efficiency forced air gas furnace. Rough-in central air conditioning (sized ducting and thermostat wiring only). Quality vanity cabinets with durable countertops. Oval Roman bathtub in master ensuite with choice of ceramic tiles for tub surround, as per plans. Kitchen faucet fitted with shut-off valve. 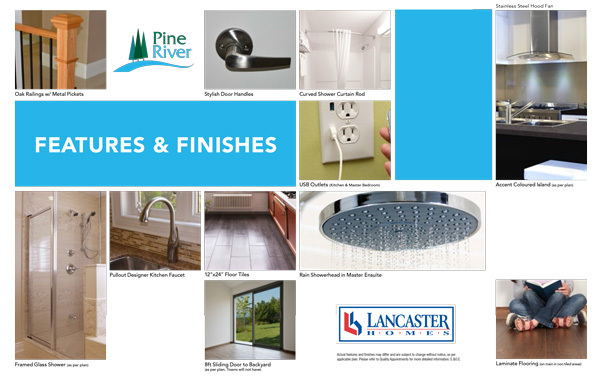 Decora switches and outlets throughout. Two roughed-in receptacles wired for high-speed internet (CAT-5 WIRE) and cable internet service. Pre-wiring for cable (one outlet in living room or family room and one in master bedroom). Two weatherproof electrical outlets (one at the rear of the house and one at the front of the house). Two black coach lamps in front of garage and one near front door. Front door chimes. Smoke detectors and carbon monoxide detectors, as per Ontario Building Code requirements. 2″x6″ construction on exterior walls. 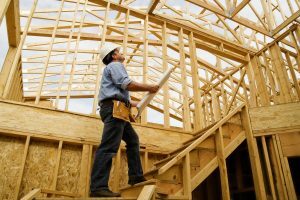 Roof sheeting with 3/8″ plywood. 9′ ceilings on main floor, and 8′ ceilings on second floor. 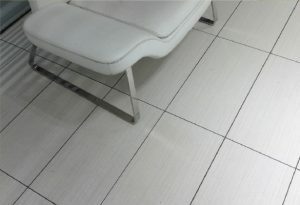 12” x 24” ceramic tiles on floors in tiled areas, installed in stacked pattern. Laminate flooring in main floor hallway, living room, dining room and family room. Rain showerhead in master bedroom ensuite. 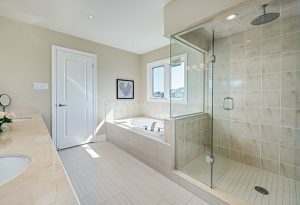 Framed glass shower enclosure in master bathroom, as per plans. Curved shower curtain rods in bathtubs, as per plans. 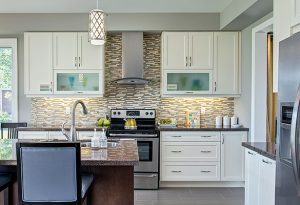 Accent coloured island in kitchen, as per plan. Aluminum framed “pull-up” upper cabinets on either side of chimney fan. Modern satin nickel finish straight lever handles. China sinks on all bathroom vanities. Heavy-duty vinyl double sectional 8’ sliding patio door to rear yard, as per design. Two hose bibs with independent shut-off valves (one in the garage, one at the rear of the house).